Use promo code OSLO200 and save $200! Be Yoga Studio has been a trusted partner with YogaWorks since 2015, hosting trainings with American and Norwegian trainers alike. This Summer, Anne Van Valkenburg will be returning to Be Yoga Studio to lead the 200-Hour yoga teacher training.The Oslo yoga community is invited to join this 1-Month long intensive training, and graduate from a premier internationally recognized, 5-star yoga alliance approved yoga teacher training. Mondays – Fridays | 8:00 a.m. – 4:00 p.m.
Saturday, May 4, 2019 | 2:00 – 4:00 p.m. | Click here to RSVP! Students will receive 12 free classes at Be Yoga Studio throughout the duration of the training. Anne started practicing yoga in 1999 and has been teaching at Yoga Works since 2003. 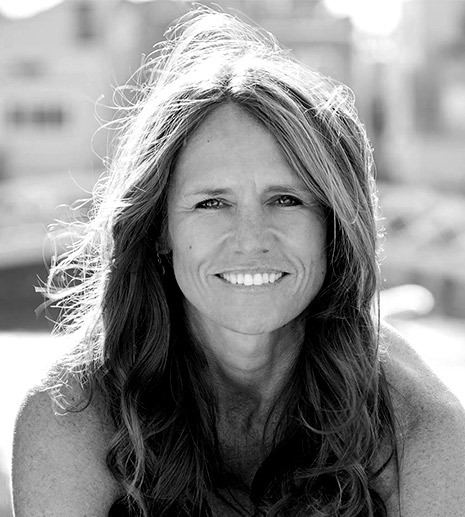 She teaches public classes and personal clients in Los Angeles, and travels nationally and internationally teaching the Yoga Works 200-Hour and 300-Hour Teacher Training Programs. The heart of Anne’s teaching is alignment-based Vinyasa taught with thematic sequences that tell a story and that challenge students to slow down. Anne is passionate about teaching the nuts and bolts of the physical practice, as well as weaving in the philosophy of the “Eight Limbs of Yoga.” She enjoys creating a space for students where they can define their own meaning of yoga. Anne hopes to inspire students to look beyond the physical and to use the whole practice of yoga as a means to deepen the connection with one’s true self. “Ultimately yoga teaches us to go inward, and by creating an attitude of santosha, or contentment, we are able to embrace all of the parts of our self and can harmonize with the world around us. We can be grateful for not just one thing, but everything. The practice of yoga teaches us how to live with an open heart and with a willingness to dig deeper.” Learn more about John Gaydos at annevanyoga.com.